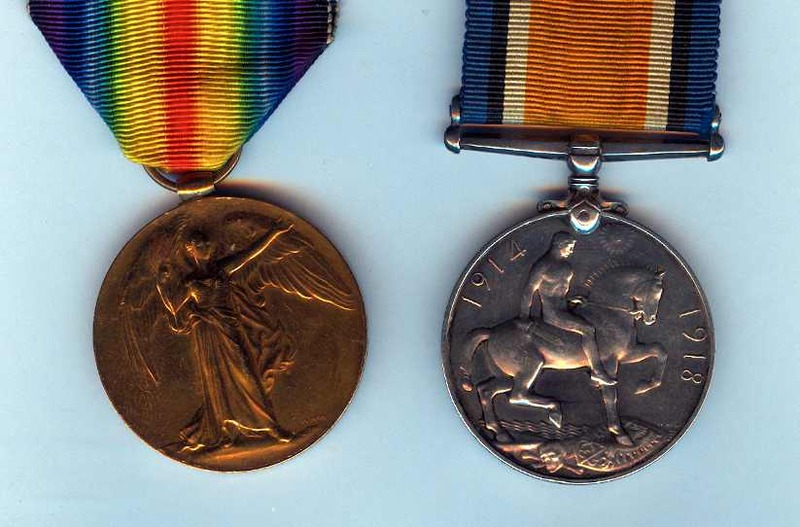 The Medal Roll records that Alfred Sutton (with 204639 Albert James Self and 106241 Frank Saint) joined the 2/6th Battalion on the 31st March 1918. 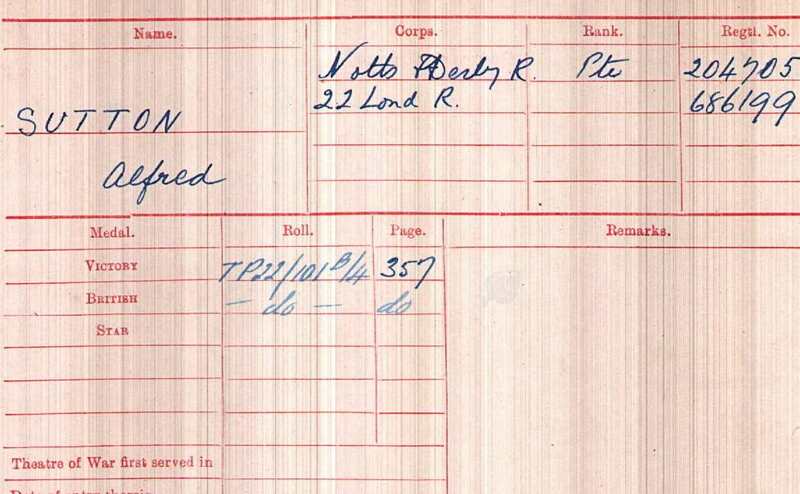 Albert’s service record did not survive, but its possible to reconstruct his service using the records of soldiers with Regimental numbers flanking 204705. 204700 William Simpson was called up for service on the 6th July 1917 and posted to the 5th (Reserve) Sherwood Foresters on the 10th July 1917. At this time he was issued with his Regimental number. William arrived in France on the 1st November 1917 and was posted to the 10th Battalion on the 6th November. He survived the War and was demolished in January 1919. 204709 Arthur James Goodwin was called up for service on the 13th July 1917 and posted to the 5th (Reserve) Sherwood Foresters on the 16th July 1917. Arthur arrived in France on the 22nd November 1917 and was posted to the 11th Battalion on the same day. He survived the War and was discharged in November 1918. 204714 Walter Ezra Green was called up for service on the 14th July 1917 and posted to the 5th (Reserve) Sherwood Foresters on the 16th July 1917. Walter arrived in France on the 6th February 1918 and was posted to the 1/5th Battalion on the 12th February 1918. From these records it is clear that Albert Sutton was called up for Service in early July 1917 and posted to the 5th Reserve Battalion Sherwood Foresters at Saltfleet between the 10th and 16th July.